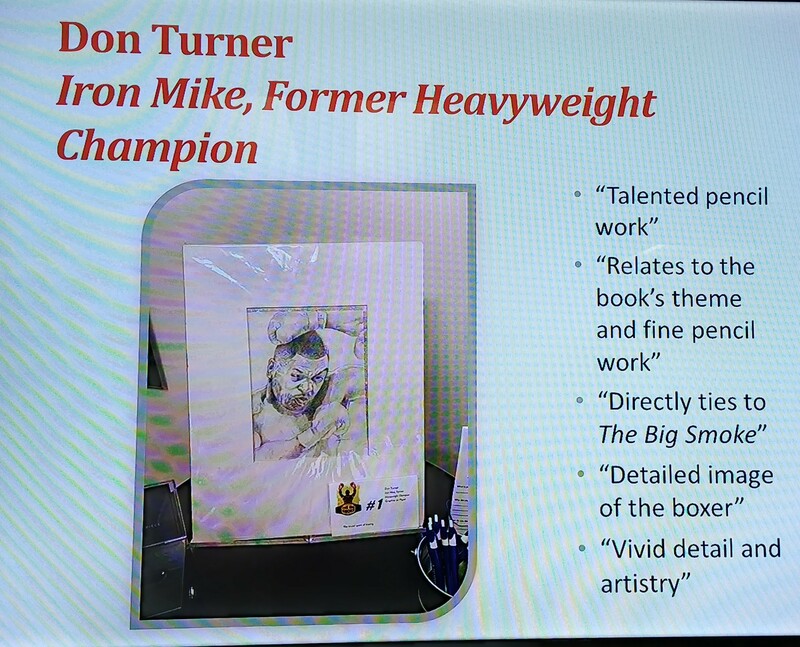 Congratulations to River City Art Association member Donald Turner of Terre Haute for taking People’s Choice honors at the 2019 Big Read Art Competition in late-March at the Vigo County Public Library. 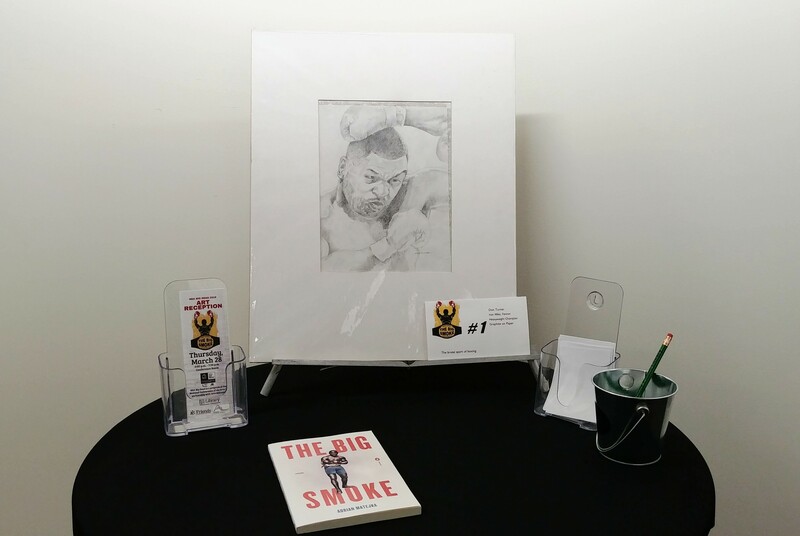 “Iron Mike” by Don received the most votes by VCPL patrons viewing all artwork inspired by or fitting the theme for the Big Read book selection, “The Big Smoke,” by Indiana Poet Laureate Adrian Matejka. “Iron Mike” is a graphite drawing of former heavy weight boxing champion Mike Tyson. 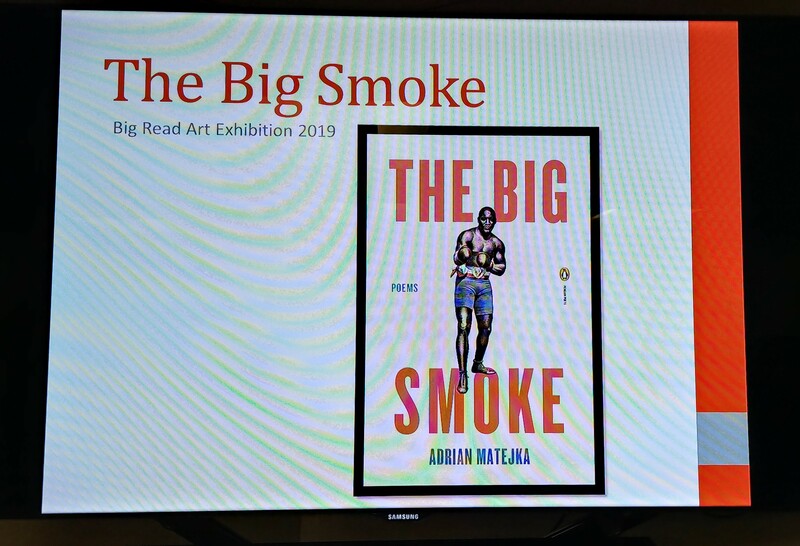 This entry was posted in Member News, Special Event and tagged Adrian Matejka, Art, Big Read 2018, boxing, Donald Turner, graphite drawing, Iron Mike, Mike Tyson, Peoples Choice, River City Art Association, Terre Haute, The Big Smoke. Bookmark the permalink.